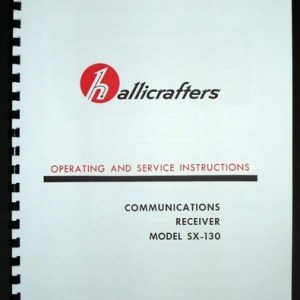 For sale is reprint of Hallicrafters Communications Tansceiver Model SR-150 Manual. 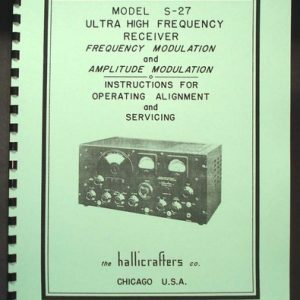 Manual is 28 pages long and includes 11×17 foldout of part list and 11×24″ foldout of circuit digram. Transceiver covers 80, 40, 20, 15 and 11-10 meter bands in CW/SSW. Manual consists of 5 sections, General Description, Technical Data, Function of Controls, Tuning Procedure, Theory of Operation, Service Data, Alignment Procedure. Service Data includes Tube Socket Voltage/Resistance Charts and Diagrams of bottom and top of the receiver with major part and tube locations. 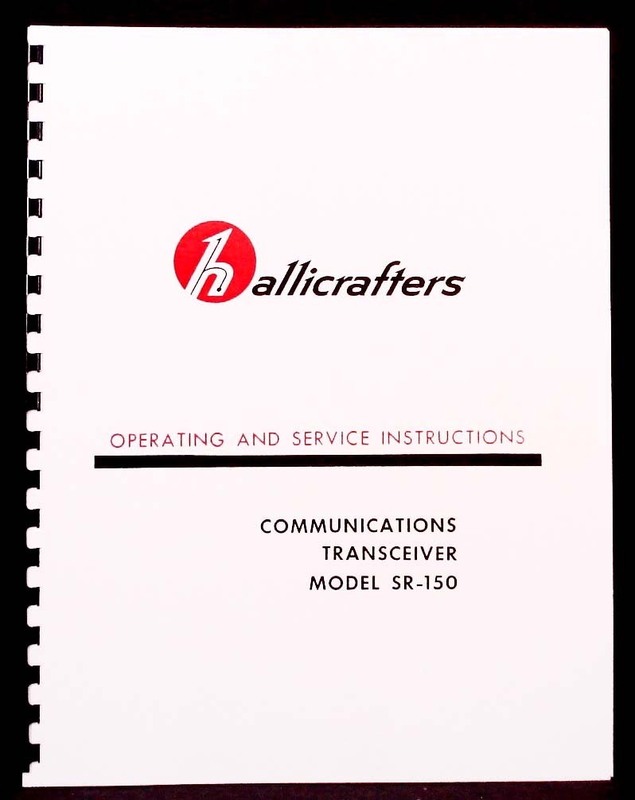 Manual also includes info and part lists and charts for PS-150-120, PS-150-12 Power supplies and MR-150 Mobile rack. 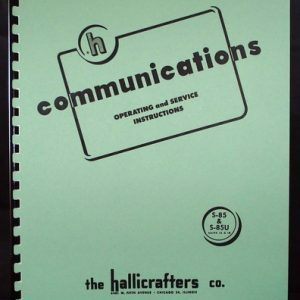 8 page Service Bulletin and 2 page Addenda complete this manual. Must for every owner of this great transceiver.